If you’ve been keeping up with our blog posts, you’ve been staying up to date about our marketing best practices for manufacturers. 33 percent of B2B buyers use internal company-preferred databases. And if you’ve really been keeping up with our free resources, you would have learned from “The Ultimate Guide to Marketing for Manufacturers” that the work doesn’t stop after you’ve created content. The marketing magic continues when you promote your content to drive more buyers to your website. You need both content marketing and paid marketing to extend your reach and get your content in front of the audience. 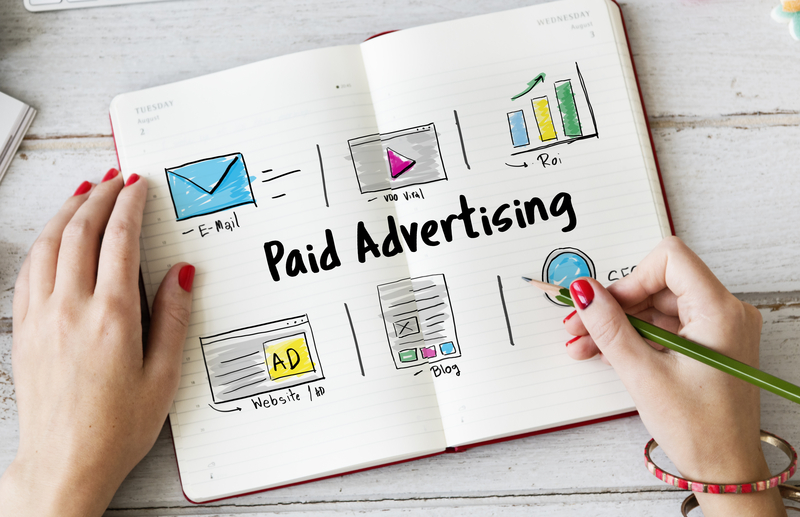 Paid marketing is a model that targets consumers online using different formats, like a social ad or search ad, based on the consumers’ interests or intent. Since paid marketing allows you to target a specific group of your audience, you have a higher chance of generating qualified leads and conversions. Social media marketing (SMM) refers to getting targeted traffic (free or paid) to your manufacturing website from your social media network, YouTube, Twitter, Facebook, etc. Search engine marketing (SEM) is about marketing your brand digitally on a search engine, whether free or paid. Pay-per-click (PPC) is a digital marketing tactic of SEM. Its goal is to increase your visibility specifically on search engines like — basically getting your manufacturing business’ site to the first page of Google or Bing. PPC is also referred to as "cost-per-click" or CPC. Instead of paying a set fee for the advertisement, your company pays for each time someone clicks on the advertisement. In addition to being able to reach your target audience, another reason why PPC is advantageous to your marketing strategy is because it allows everything to be measured. 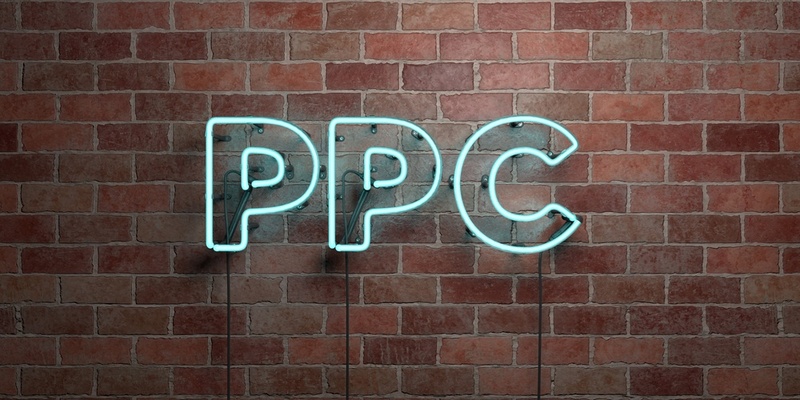 Getting started with PPC can be fairly simple, but optimizing your PPC campaign to get optimal results can take a bit of time. Be patient and don’t be afraid to test. When implemented correctly and optimized to fit your business needs, all of the above tactics can help drive industrial leads, but the cost of those clicks can add up quickly. So again, it’s important to know who you audience is, where they are, and what they want. We break down more about the difference of SEM vs. PPC in our blog. Why Do You Need a Paid Marketing Strategy? We’re going to let you in on a little secret. If you’re not searching for new strategies every day, your competitors will eventually get ahead of you — if they aren’t already. You may have noticed the customer buying journey isn’t the same as it was five years ago because the digital landscape continues to evolve every day. You can have the most reliable, high-quality manufacturing product or service, but what good is it if the right people don’t know about it? That’s where the importance of having an online presence comes in. Why does your job shop need a website? Simply put, your industrial buyers expect you to have a responsive well-designed website. An effective paid marketing strategy ensures those relevant people get to your website, which stresses another important factor of keeping your website up to date. This makes search engines the second-most utilized tool for buyers, behind the 79 percent of buyers who use Thomasnet.com. Knowing who your targets are and their behaviors will help customize not only your actual content, but the timing and placement for promotion. Social Ads, Search Ads, Display Ads — What’s the Difference? Social ads, search ads, and display ads are all advertising formats we recommend — most of which you likely already encounter more than once every day. Search ads target users who already know what they want. Let’s say you’re looking for "packaging supplier." When you type in "reusable packaging supplier" in Google, recommended "green" companies along with related options are placed at the top of the page. These search ads are sponsored — a form of paid marketing. Social ads are advertisements that reach your audience on social media platforms. Search ads, a component of search engine marketing, are advertisements on search engines like Google or Bing. 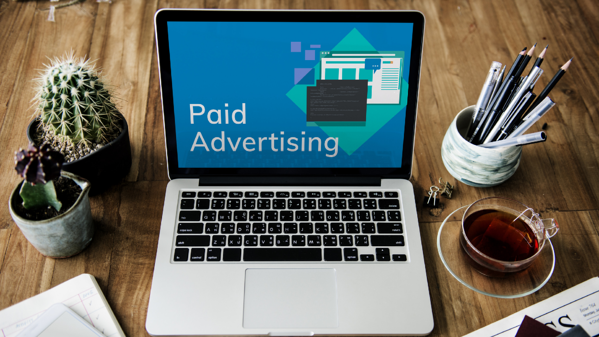 Display ads are advertisements on other websites that your consumers may also be browsing on such as Forbes or IndustryWeek. New topics and keywords are constantly trending on social media. Because of this, social ads can be the most time consuming to create, especially when great design also has to partner well with great words. Display advertising solutions for manufacturers comes in several forms. 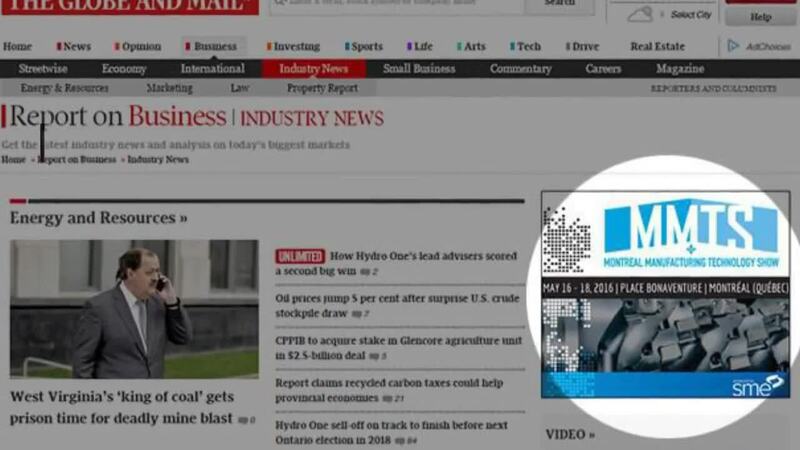 One display ad can be a mix of images, audio, video, and text. We share more examples and dive into more advantages of a display ad, search ad and social ad in this blog here. All of the above paid advertisements can help you drive industrial leads, but we don’t recommend focusing on just one. Understanding the psychology and needs of your personas will help you carefully target the right placement and timing of your advertisements. Bots are fairly new in marketing and sales, and chatbots have actually been beneficial to customer service. Bots are programs that can do automated tasks like providing specs for your products to a customer or routing a visitor to an appropriate section of your industrial website without the help of human support. While it's a good practice to consider if they're a fit for your prospect and customer service, not all companies are altruistic when it comes to utilizing robots. A great (but bad) example of this is the bots that inflate click and traffic numbers from search engines and across websites — in fact, in 2017, bots cost companies nearly $17 billion in fake ad clicks. And the year prior, advertisers lost $7.2 billion on fake ad clicks. This means companies are simply paying for clicks that weren’t real — and at an alarming pace. 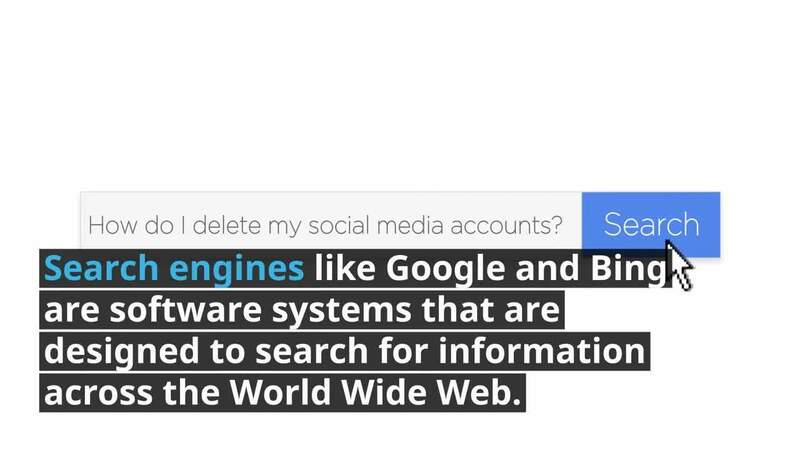 Some online platforms, Thomas included, are adamant about clearing out bot traffic. Last year, Twitter deleted more than 1 million accounts that were believed to be fake, and Google rolled out an update with an ad blocking feature that filters out ads on alternative networks (while protecting Google’s own ads). It filters out the most aggressive and distracting ads — you might have seen less of the annoying ones with countdown clocks and full-page pop-ups that take over your entire computer screen. That said, there has been a long history of ad fraud, and it continues to remain a challenge for advertisers. But you can still eliminate the waste of advertising resources by delivering the right messages to the right people at the right time. You need to get in front of real, verified B2B buyers. How? Don’t put all your paid strategy dollars into one channel. What that means is not just advertising on search engines, but Thomasnet.com too. Why? Listing your company on Thomasnet.com eliminates the risks of ad fraud completely because 100% of the buying activity on the Thomas Network is driven by real B2B buyers — millions of industrial buyers instead of bots. And it’s free to list your business on Thomasnet! Having an integrated online approach ensures you are everywhere your buyers are — on search engines, social media, and Thomasnet. What’s also important for your paid strategy is ensuring you have the right measurements and reporting in place to signal you if something is wrong. Marketing trends are constantly changing based on technology updates and industrial buyer behavior. Your success depends on how well you can adapt to these changes and optimize your campaigns to produce real ROI. What’s The Next Step In My Paid Marketing Strategy? By now your head must be going through a ton of thoughts. 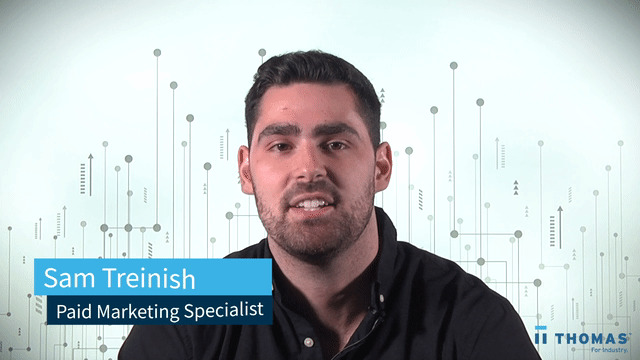 Which paid marketing platform should I focus on first? How much marketing spend should I allocate to my paid marketing strategy? The truth is that there isn’t a clear answer because frankly, it depends on your business. What we do know is that paid marketing works for all companies in the B2B manufacturing space. Wherever your target audience spends the most time on is where you should be too. You’ll need valuable content as the basis behind your paid marketing strategy because one can’t work well behind the other. Research, planning, and experimenting go into finding the right mix of paid marketing tactics to effectively share your quality content and engage your industrial leads. Elements like content marketing and email marketing are essential basics of marketing for today’s industrial marketers. We can help you take the guesswork out of it all and partner with you as you digitally transform the way you grow your business. 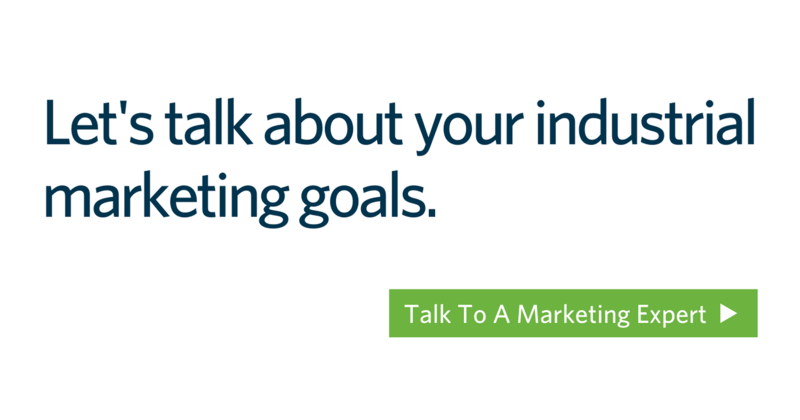 If you haven’t done so already, download “The Ultimate Guide to Marketing for Manufacturers” and save it as a desktop reference or bookmark as you revamp your marketing content and efforts. To take your content a step further and advertise to key decision-makers, contact us today.